Partner - ACCMIN Consulting and Services Co., Ltd.
We have partnered with QuickBooks Online to serve companies, projects and Non profit organisations in Laos. We agree that Quickbooks online has bank level security and easy to use. We offer customer care including accounting system setup, training and monitoring-support for 3-12 months during the transition period. The software is very easy to use and requires little training and we have technical support as above. We offer accounting system setup in QuickBooks Online to be aligned with your accounting systems as well as donor requirements for projects and non profit organisations. 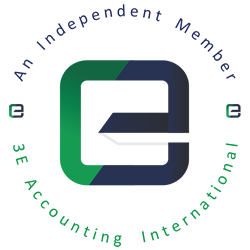 3E Accounting is an international accounting network for experienced accounting agencies to offer high quality accounting services on both local and international fronts. The members of 3E global accounting network are instructed to maintain effective and efficient work standards combined with punctuality and reliability at the same time. 3E Accounting International accounting network will only admit firms that have strong professional background and product know-how knowledge within their local jurisdiction like the back of their hand and who have experience in handling clients internationally. Our Accounting Alliance members will embrace a service culture that emphasizes efficiency and effectiveness through personal touch, swift response times, reliability and innovative thinking. Cekindo is a leading consulting company that provides one-stop business services to business leaders and organisations across industries intending to operate in/expand to Indonesia and Southeast Asia. Currently we have branches in Jakarta, Bali and Semarang and an overseas branch in Ho Chi Minh City, Vietnam.